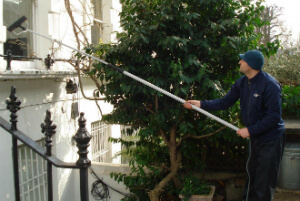 North West London NW Residential & Industrial Window Cleaners | Quality Property Care Ltd. Enjoy a lot more than just professional window cleaning, give Quality Property Care Ltd. a call and book the very best window cleaning in North West London NW at a reasonable price. Fully equipped and capable, we will leave no spots behind, removing not only grease, but built up mud, grime, dirt, fine powder, mud, rain residue, fingerprints and a lot more. Attention: our service is totally streak-free and eco-friendly! No matter your home windows, the friendly window cleaners in North West London NW will clean them to brilliance! We are offering a proper outside window cleaning for displays, big bay windows, for shops, garden windows, domestic buildings up to 4 stories in height, conservatories and even patios and gutters. If you have a store on a busy street and want that window cleaned, we can cope with your needs, no hassle or extra fees. We take our own tools, fully prepared to tackle any stain or window cleaning situation that you would like solved. We bring ladders, towels, detergents, gloves, squeegees, vacuum, dirt extractors, telescopic poles for the squeegee and some pure water. To keep the inside of your property or home clean, our team uses overshoes to minimize the dirt exposure of the windows. Based on the stains in question, we use a detergent or simple water . Often a wipe down with a micro fiber towel to eliminate fingerprints is sufficient. This is performed using our water purification system connected to a water fed pole. The whole system sits compactly in the van, allowing for mobility. A water purifier strips standard tap water off of its minerals and other chemicals, leaving it a bare H2O compound. This form of water is known as purified water, it links a lot more speedily to dirt and grime due to its denaturalized state. There is no trick, no smoke and mirrors, only simple pure tap water eliminating accumulated dirt and grime form your windows. Our cleaner starts from top to bottom, initiating with proper window frame and sill cleaning to removing any grit and debris, then he moves onto the glass itself. If the day is especially windy we hand dry the window with cloths to prevent further saturation. 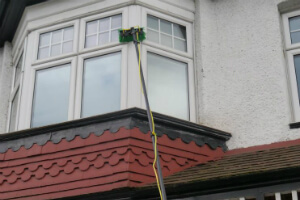 Quality Property Care Ltd. is a highly rated window cleaning company in North West London NW. It was established back 10 years ago. Through the years we have figured out that customer`s satisfaction is the best value we receive from our services. The commercial and domestic window cleaning service is one of our top accomplishments based on innovative strategy, fast speed and minimum risk for the clients and the window cleansing agents. Secured rope access window cleaning, fully danger and chemical-free cleaning! Choose Quality Property Care Ltd. Window Cleaning and Get Special Price! Just call 020 3746 4287 or send an online booking request, and our customer care service will be back to you ASAP. You will get written verification for the reservation. There is no deposit necessary, and you will pay for only after the service has been completed. The payment options accepted are flexible. No covered charges, and big deals for returning customers or for those ordering more than one service at a time.